Very subtle for an Islay. Smoke, salt, lemon. Metal, smoked meat. Decent, not as much depth as much of the other Islays. Tourbé et rond, un vrai best-seller. sweet and smoke. Christmas spice. vol van turf, zeewier, jodium met heel in de verte wat zoete appel. rijk aan turf, zeewier, rook en peper. smoky, burning wood, fruits. very delicate chemical-medical tones of phenols. bit sea-shore. taste is smoky, citrus fruits, wood. finish is long and nice citrus dry and some iodine. Peaty and smoky, but not too overbearing. Slightly medicinal, oily flavour. Very drinkable. smoke dry peat. Good body and mouth feel. short for a peated whisky. fumo e torba al naso con sentori di agrumi. Al palato emerge la torba e qualche sentore salmastro che terminano in un abbastanza persistente finale. Tourbe légère, fumée, pointe de sel. Fin en bouche, facile à boire. Recht mild geräuchert für einen Vertreter der Insel auch in der Nase eher untypisch. Beim ersten Nipper kommen gleich fruchtige Noten auch eine leichte Süße bevor sich eine beachtliche Pfeffer-Schärfe breit macht. Er wirkt recht jung am Gaumen. Der Abgang ist mittellang und wieder etwas rauchig. Gentle and soft for an Islay malt. Peat and smoke present but in a moderate way. Spicy. Smokey. Peaty. Malt. Herbal. great Islay in general - a good balance between the stronger versus mild Islays. 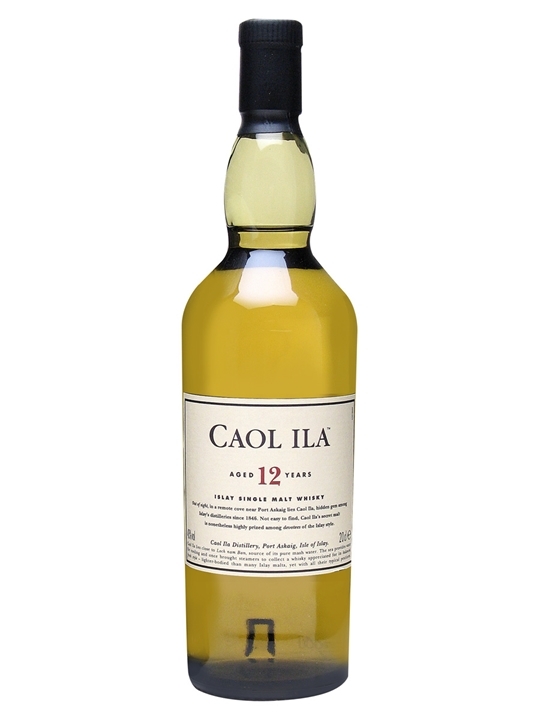 My first from Caol Ila, good flavor profile. Peat but not overpowering, going to be a go to dram for a while. I call this fine Islay a cigarette vs a cigar in its smokiness. That is when compared to heavy hitters in the peat, like Laphroaig 10 or Ardbeg 10. Smooth enough for a 12. It presents against its Islay neighbors with a lighter taste and less complex, but a truly worthy Islay. Buy if you think you’d like a light Islay. Peaty smoke with a smooth, oily finish. 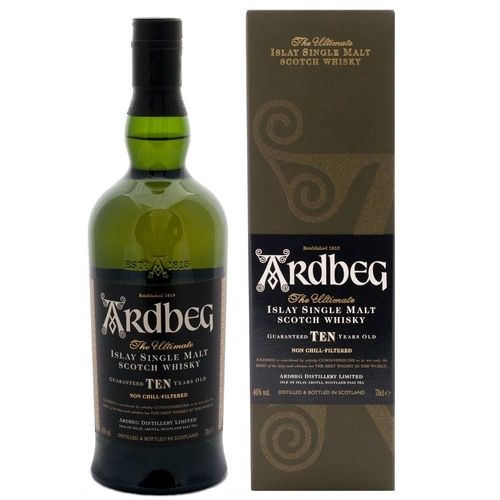 A good choice for trying the aromas and taste of Islay single malt with wood, tobacco and smoke at the nose, smokey and slightly salty and medicinal at the palate and with a long finish of smoke and spices. süsser, fast sirupartiger Duft, der noch nichts von seinem erdigen und rauchigen Geschmack vermuten lässt. Und der ist ziemlich der Hammer! Medium smoke, Sweet caramel, earthy, very oily. Easy drinking and affordable. Not very intense. Delosh. Refined, maritime, unwavering smokiness. The perfect balanced caol ila! Goto peated whisky, there's always a bottle of Caol Ila 12 open in my cabinet. A very approachable Islay whisky. Well balanced with smoky, salty and notes of floral and pepper. A great introduction for those not acquainted with peated whisky. Always nice to find back in every bottle its golden clear colour and smoky taste. Not particularly complex for an Islay malt, but I appreciate its lemon and grass notes, refreshingly warm for a peaty malt. Like Lagavulin, but without the "pow" you see in comic books. Pretty friendly for an Islay, would recommend to beginners. Zuerst frisch mit Zitrusfrüchten, dann toller aromatischer Rauch. Süß und weich, dann rauchig und würzig. Ölig auf der Zunge. Guter Standart Whisky um einen angenehmen Preis. Für Peatheads ein Muss! nice balance, interesting smoky flavours. Smooth, smoky and sweet Scotch whisky. A really pleasant one to drink. Certainly try it, if you get a chance! initial burst of peat and smoke on the nose, but then develops into sweet and spicy undertones. very oily on the palate, coats the whole mouth. then the spice comes in, pepper and chilli!! ends in a waft of smoke and peat. slight medicinal taste but very pleasant! nice long spicy and smoky finish! beautiful whisky!!! Lots of peat and smoke. Good stuff. Smoke, peat, sea spray. Hints of orange zest in the background. Long finish if only slightly unidirectional. A very straightforward dram. Smoky and salty and not in an overwhelming manner. Very good. Great value for your money. Smoky with a bit of sea. Salty, oily, peat, a little herby. Salty. Doesn't make a long impact. On the nose lovely soft salty peat with hints of leather, young wood and wet soil. Alcohol is very subtle present in the background. On the mouth a soft and subtle taste of ripe fruits, but also smoke and peat are there. In the medium finish the salty peat kicks in again. A lovely Islay, although the taste comes closer to Talisker then most of the Islay ones. A nice soft peat whisky. peat, smoke, a bit salty and very well balanced with a nice long finish. Not as extreme as its Islay brothers Laproaig or Ardbeg but definitely a keeper. Great peaty island whisky, great name! like a slightly milder, smoother and maybe even more pleasant, laphroaig 10.
overall, very similar to laphroaig, but a smoother finish that opens up some of the other flavours. I like drinking this as much as saying the name correctly. Full flavors that never disappoint. Nice flavour! very smokey taste, it gives a kick after drinking. Sehr aromatischer Islay Whisky. Anfängliche süße weicht leichter schärfe und torfigem Abgang. Gefällt mir sehr gut, sollte in meine eigene Sammlung. Smooth, spicy and rich islay. Smooth, rich and smoky entry -hints of vanilla and honey- closely followed by a growing spiced heat -cinnamon and pepper- that lingers while peated smoke prepares for the finish. Peat finally expresses it's full potential then leaves the sweet and spices linger a little longer. Oily texture will stick to the mouth. A smoky, sweet whisky, more reminiscent of a Speysider than an Islay. Very good, except for a slightly oily mouth feel. 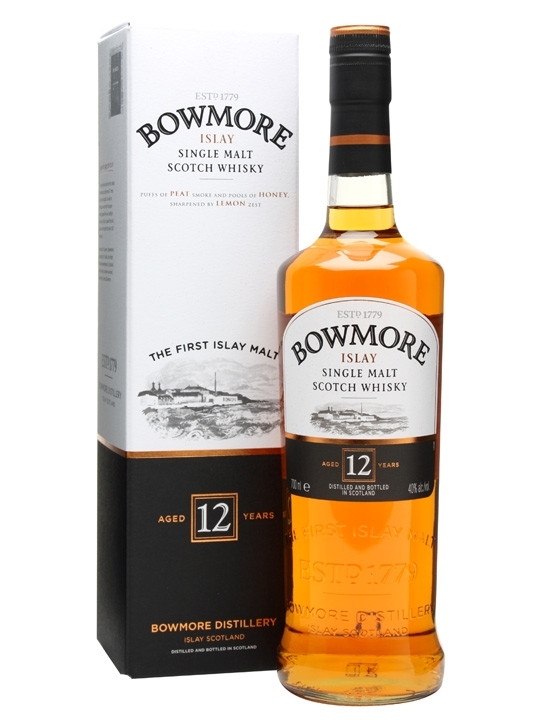 if you like bowmore you like this. Lekker stevig en rokerig. Toch is deze whisky ook erg zacht en voelt als fluweel in je mond. Heerlijk! crossover from talisker to laphroaig. Smokey, islay. This is a gateway Scotch to Islay whisky...light peat and smoke compared to others.